Mazda's MX-5 has been honoured in a Tokyo Award ceremony, at which it scooped the Car of the Year Japan award. Sixty jurors voted in the awards ceremony, held at Tokyo's International Exchange Centre. 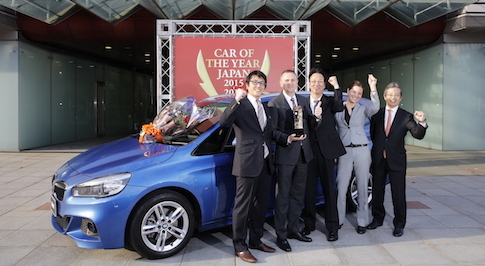 This win marks the second in as many years for the Hiroshima based carmaker after it claimed the 2014 prize for the Mazda2. Mazda's vice president Kiyoshi Fujiwara, who is in charge of product planning and head of the company's Skyactiv technology R&D commented: "We went through some tough times during the financial crisis and 2011 earthquake, but we stuck to our founding principles and created a winning formula. We think the jurors' response to our MX-5 shows that sports cars are making a strong comeback in Japan. This award means a lot to our development team."